Recently, the newly appointed CEO of Novartis, Vas Narasimhan, announced that he would be linking employee bonuses to ethics as part of a strategy to rebuild the company’s reputation. Specifics of the scoring system were not divulged. This raises some interesting questions in the trust, ethics and compliance community. Among them, is it ethical to pay people to act ethically or is it a form of bribery? Will these bonuses elevate ethical behavior? What is the minimum “acceptable” behavioral standard to receive a bonus? We asked Trust Across America’s 12-member Trust Council to weigh in. Some of their best answers from both a macro and micro perspective, are provided below. At Datron, we spend a lot of time in the FCPA world as over 90% of our business is conducted outside the US. We find that ethics is a company wide issue that encompasses not only your employees but also any organization that represents us in the marketplace. We have not taken the route of rewarding ethical behavior at the employee level. We spend the money on training, both in the compliance area and in the “servant” leadership area to ensure that everyone understands the company mission, purpose and how our behaviors (values) are reflected in the work we do. In our multi-cultural company with over 80 representatives around the world we take compliance to all entities that interface with our customers at any level. This means that our annual FCPA training is required and annual anti-bribery statements are completed by both employees and our representative companies. In addition we require all of our representatives to hold current Trace International certifications. If these items are not completed as required we don’t do business with that organization and don’t let our employee interface with the customer. In general I would recommend that leaders know what would work best for their organizations. I personally would not take the approach Novartis has taken just because paying money for a required behavior is too much like a bribe and I believe it sends the wrong message to the organization. It also says that it is ok to act unethically we just won’t provide you a bonus if you do. I think requiring behavior in accordance with the company values is a better long-term solution. This has been in place for over two years. Probably just touting this in the news because of all the recent violations. Reps don’t get an additional bonus. They have money withheld from each bonus period and if their manager sees fit and gives them a good rating, they may or may not get all the money back. So Novartis actually takes money and holds it for a year. Some reps get back more but a lot will actually get back less. The kicker is, they have to still be employed to get that money and it’s only paid out once a year and it’s supposed to be about values and behaviors but it’s still tied to sales. The Trust Council jury is split with regard to the ethics of ethics bonuses. To be meaningful ethics and trust must remain a top-down strategy built from the inside out, and only then will they have a long-term impact on organizational reputation. 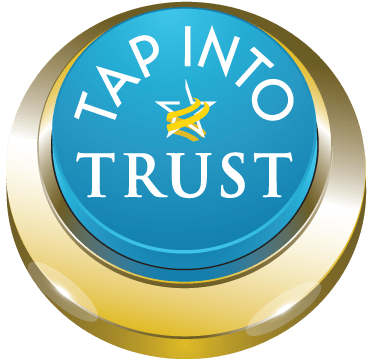 Trust Across America-Trust Around the World’s Trust Council is an invitation-only advisory group comprised of global business leaders and consultants from a broad cross section of industries and functions who are rotated through membership in our Trust Alliance. The Council serves for twelve months.